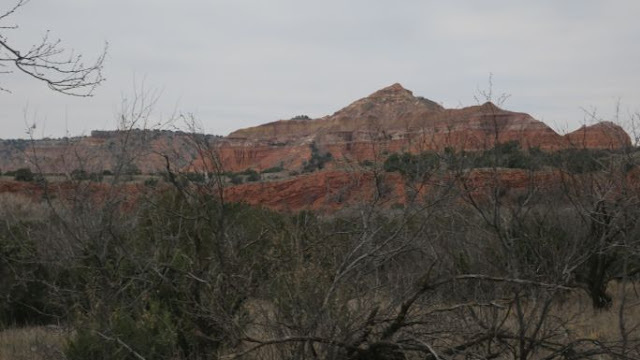 We visited Palo Duro Canyon for a second time January 1, 2019. The day of our visit, a northern blew in thereby causing us to miss the first day hike with the park ranger we were looking forward to taking. While we were disappointed to miss the first day hike, we were able to enjoy the beauty of this Texas treasure. Palo Duro Canyon is the second largest canyon in the United States. (The Grand Canyon is the largest canyon.) 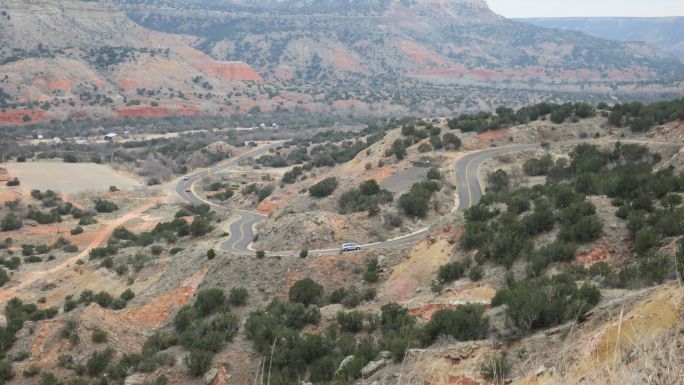 The canyon is 120 miles long, 20 miles wide in some places, and up to 800 feet deep in places. 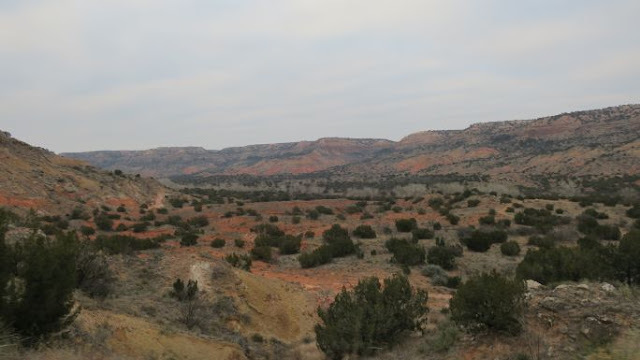 The frigid weather we experienced on the day of our visit prohibited us from enjoying the 30 miles of hiking, biking, and equestrian trails. 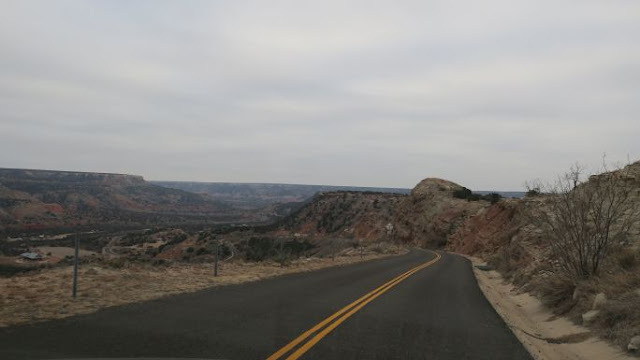 Our visit was limited to the 16 miles of scenic roadway into and around the canyon. 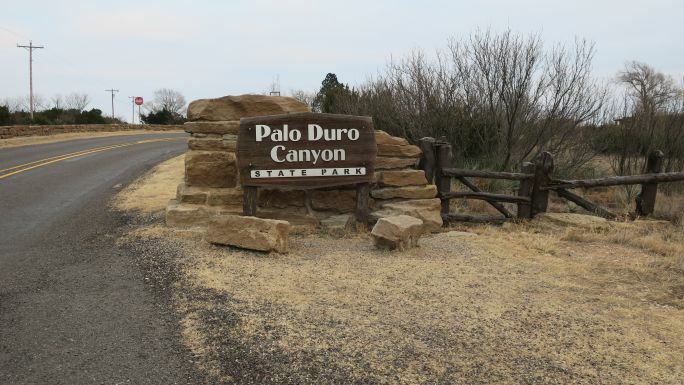 We last visited Palo Duro Canyon State Park in August of 2015. During our summer trip to the state park we enjoyed the Texas Show in Pioneer Amphitheater. 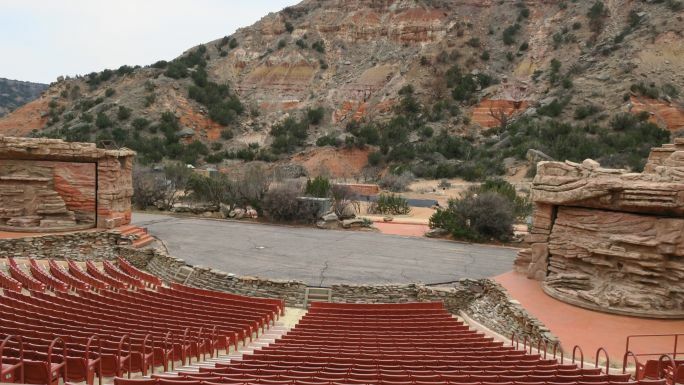 The Texas Show is a musical production about the history of the early settlers of the panhandle of Texas on a stage that has the canyon as part of the stage. The musical-drama runs Tuesday-Sunday during the summer months. Check out the Texas Show website for more details or to purchase tickets. We enjoyed the show and recommend it to others. 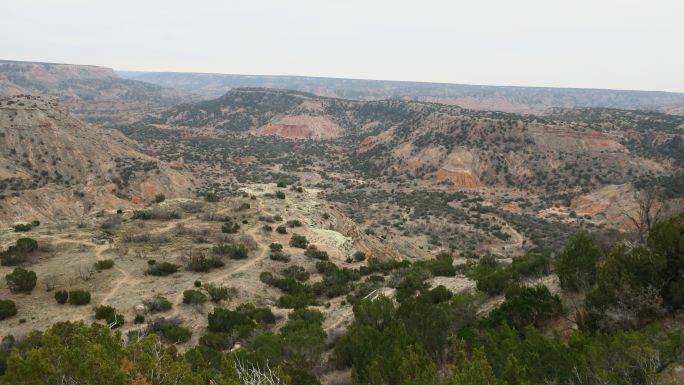 Palo Duro Canyon State Park offers accommodations ranging from primitive campsites to cabins. The park has over 100 campsites spread throughout 3 different areas of the park. If you book far enough in advance you can stay on the rim of the canyon in one of the 7 cabins available. We did not stay at the state park for lodging. During our summer visit we stayed in Amarillo at the Country Inn & Suites about 30 minutes north of Palo Duro Canyon. During our visit in January 2019, we drove to Dumas, Texas and stayed at the Hampton Inn about 1 hour north of the state park. 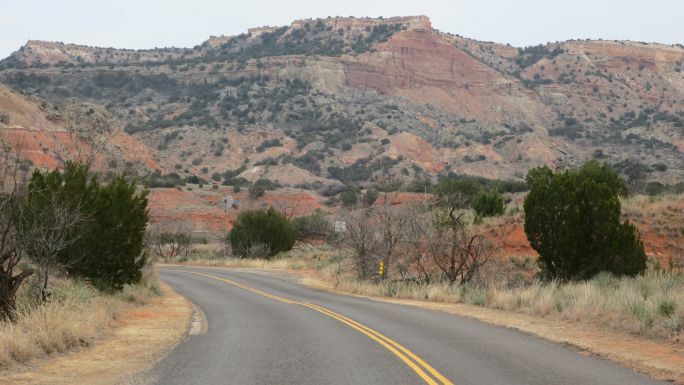 Entrance fees for Palo Duro Canyon State Park is $8 per person aged 13+ and free for children. 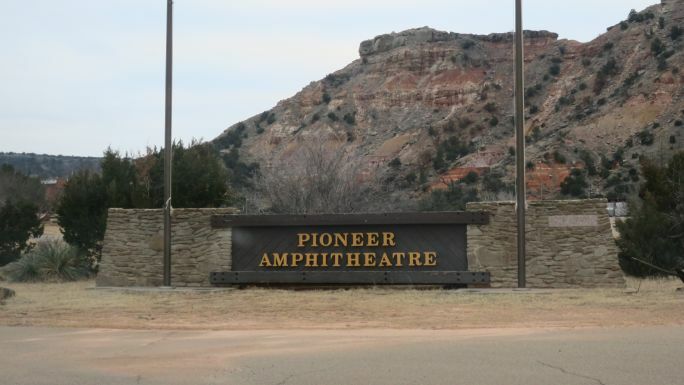 To learn more about the entrance fees visit the state park website. Palo Duro Canyon is beautiful! You will not regret visiting this state park. 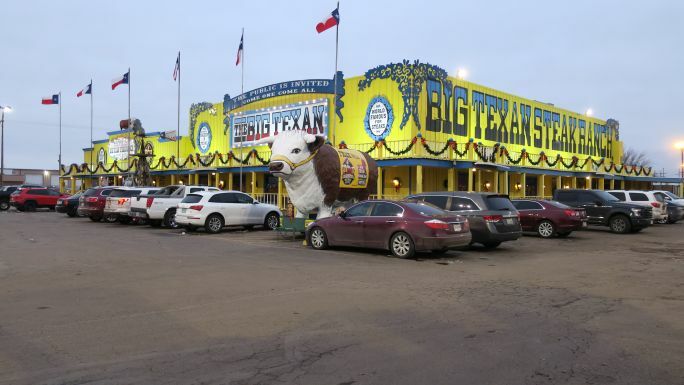 After our driving tour of the state park we drove north to Amarillo to eat at the famous Big Texan Restaurant. Both my husband and I had visited this Amarillo landmark when we were children. We thought it was time we took our son to carry on the tradition! We arrived around 6:30 PM and were seated immediately. The restaurant was busy and there were very few tables empty. I thought this must be a good sign. There were several different choices available on the menu so we decided to each order something different so we could taste them all! My son ordered the hamburger. My husband ordered the chicken fried steak. I ordered a sirloin steak. NONE of the meals were very good. 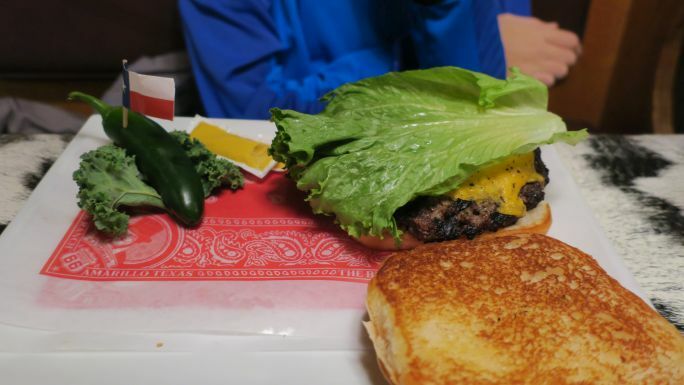 My son's hamburger was mediocre. 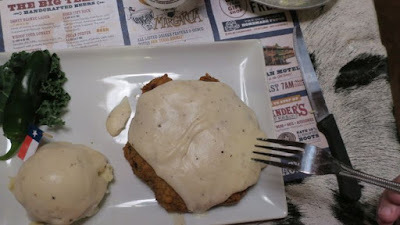 My husband's chicken fried steak was frozen and fried. My steak SHOULD have been cooked medium but instead was close to rare. My baked potato was the smallest baked potato I have ever seen and my okra needed salt. To top it all off the service was horrible. I think none of the waitstaff wanted to work that day. You could see it in their faces, they were miserable to be at work. To sum it all up, I now know why both my husband and my parents only took us to the Big Texan once as kids. 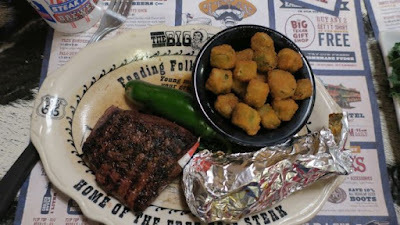 They figured out what we figured out on this trip - Big Texan Steakhouse does not live up to the hype. In my opinion you would be much happier and have more money left in your wallet if you simply visit the Texas Roadhouse located at 2805 W, I-40, Amarillo, TX. Thank you for reading my blog. 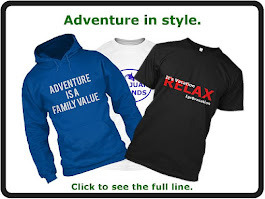 Remember to subscribe so you do not miss my future blog posts.